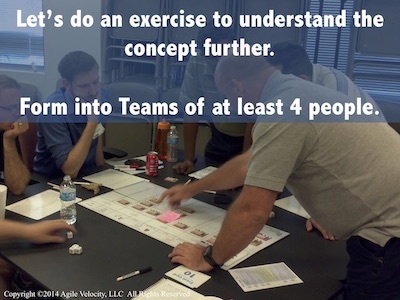 To help demonstrate and better understand the trade-offs and various strategies for managing tech debt, Agile Velocity developed a “Tech Debt Game” which can be used to simulate development iterations with both feature and technical debt backlogs. Players can try out different strategies to manage technical debt while delivering features. This game can be used as a way to demonstrate the impact of technical debt and help start the conversation with Product Owners and other stakeholders.